There is nothing like spending your childhood summers hiking, fishing, making friends … and learning how to ride a horse. Camp Shohola is one of the best horseback riding camps in PA. Here, your camper will learn skills that he won’t find at any other summer camp, all while making friends that will last a lifetime. Camp Shohola has been the summer camp of a lifetime for four generations of boys. Frank and Helen Barger began the camp in the 1940s. Since then, the camp’s management has passed down through three generations of the Barger family. The family dreamed of providing one of the best art, athletics, and horseback riding camps in Pennsylvania. More than 75 years later, they’re still doing just that. What Makes Us One of the Best Horseback Riding Camps in PA? At Camp Shohola, we believe that every camper should learn about his talents and be able to develop them, whether they are in arts, athletics, or other activities. That means that boys who attend Camp Shohola have the chance to explore their interests like never before. That is what makes this one of the best art, athletics, and horseback riding camps in PA. 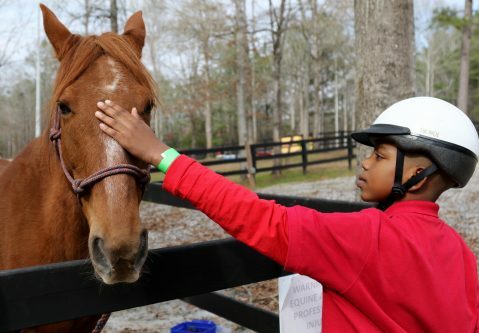 The camp’s equestrian program is one-of-a-kind. There is a reason Camp Shohola has a reputation as one of the best horseback riding camps in PA. Here, campers can learn English saddle horseback riding. They can even learn to jump (as long as they have permission from their parents, of course). Campers also learn how to take care of the horses and manage the stables to really get a feel for what it is like to be a real equestrian. That’s why Camp Shohola is like no other horseback riding camp in PA. Dedicated riders might even be able to compete with other camps in the area in equestrian shows. They can choose to take riding lessons either three or six times a week. It is opportunities like this that make Camp Shohola one of the best horseback riding camps in PA. If you want to enroll your child in one of the best horseback riding camps in Pennsylvania, contact Duncan at 570-371-4760 or duncan@shohola.com.